It’s a Lifestyle. Become Your Best Self Today. A place where you feel supported regardless of your fitness level. No Judgement, Just encouragement – its like belonging to a club; an encouraging, high fiving , welcoming, hometown proud club where our entire goal is to help you achieve yours! 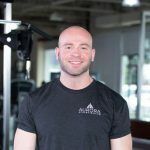 At Aurora Athletic Club training really is personal – its an investment in your single most important asset – yourself– and our entire goal is help you achieve yours! Our certified personal trainers are hand-picked, have an average of 7 years experience and are mentored to provide a level of service over and above the rest. Guaranteed. Certified CSEP-CPT (Canadian society of exercise physiology) Studied and graduated fitness and lifestyle management with honors. Andrew focuses on improving the seven essential movement patterns to ensure consistent long-term progression. 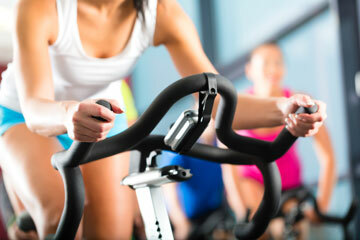 Our fitness classes are designed to motivate you, to inspire a healthy lifestyle while still enjoying the journey! Choose your passion – we’ll dance, stretch, drum and bootcamp you to your goals with sweat and a smile! Book a consultation today to discuss which of our tiered membership plans best fits your goals. Your health is the best investment you can make, every other investment depends on it. Lester has been instrumental and a reliable presence in my health and wellness journey as my Personal Trainer for the past five months now. He aptly tailors work sessions with just enough challenge to help me reach my goals. He creatively blends a variety of exercise styles and precision techniques with a seasoned eye on the long-term plan. Lester is always ready with a word of encouragement borne from deep live experience and resilience. He is a passionate resource for information about nutrition and how to train safely, while competently guiding me to take ownership of my own fitness regime. My professional engagement with Lester is an enriching and rewarding experience. I've been a client of Jeff's for a number of years. Heis very knowledgeable and strives to keep current on the latest developments in the field of training and fitness. He is honest about what you need to do to reach your goals and if you are willing to work hard, he will work just as hard to help you. Working with Andrew has helped me get back into a fitness routine after several months out of the gym. he quickly understood my strengths and weaknesses, and has challenged me to push past my self-made limits to reach my fitness goals. Andrew displays extensive knowledge and commitment to his work, and ultimately his clients. With his level of expertise, he will modify any exercise so you will always trains safely and get the most out of your session. He is reliable, punctual, and will make you look forward to coming into the gym to work out. I would highly recommend him to anyone looking to improve their level of fitness. 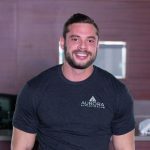 My name is Vito Quatromini and i have been a member of your gym for several years. Over the years i have had the pleasure of training with 3 trainers before meeting my current trainer. Suzanne Carpenter. Although the other 3 trainers were good my current trainer takes things to a whole different level. I am very pleased with her professional and personalized approach. Suzanne listens and adapts to my needs and situation and even researches my health issues, it shows she truly cares for me personally. The results are clear, i am in the BEST shape of my life, having lost about 35lbs. I feel and look 10 years younger! Thank you so much Suzanne, I could not have done it without you. I have been a member of Fitness Clubs in Aurora since 2009. Not new to clubs, I was a member of Fit City in Newmarket prior for 10 years. I did personal Training there but wanted a change. Whenever at the Club, I noticed Marcella and marveled at her own fitness and passion as she conducted her many different classes. I admired her skill and commitment. 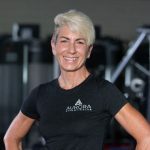 I value Marcella's knowledge and skill set tackling my goals which at 58 years old is building strength, so important at my age. I want to be able to move well and play tennis which I love for as long as i can! I love the variety of our training sessions and know all muscle groups are getting fired up. I love being pushed knowing results will follow. There is no question I am leaner for my age and stronger and i feel better for it. Marcella, you inspire me! Thank you!! !